This is an adorable story that was an entry into a contest HERE. Unfortunately there was an issue with the contest sponsor’s flash player so after the author uploaded the story to the contest site, part of it isn’t showing. We’d really appreciate it if you’d vote for her story anyway by clicking VOTE on this page. You can vote up to once per day, every day until the story ends. The entire text of the story is below for your enjoyment! 🙂 It is a great bedtime story for your kids! Once upon a time in a faraway land, there lived a knight named Gerald and his young son named Edward. Edward wanted to grow to be just like his father. He put the purse into his own pocket. All the rest of the day Edward was uncomfortable. He couldn’t stop thinking about the money he had stolen. Suddenly he remembered what his father had said, and realized with horror that he had broken the knight’s code of honor! He ran to his father and told him what he had done. His father looked at him sadly and told him that he must give the purse back to the princess and ask her forgiveness. Edward was afraid, but he gathered his courage and knelt before the princess, presenting her with the purse. He confessed what he had done and begged her forgiveness. The princess was very gracious and forgave him from her heart. Edward vowed that never again would he break the knight’s code of honor! That night, Edward lay his head on his pillow and slept peacefully, knowing that, in the end, he had done the right thing. 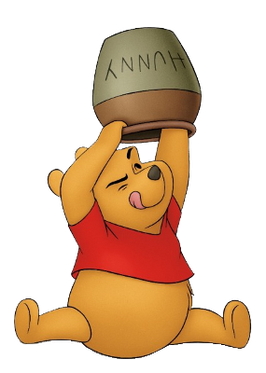 Here’s a nice freebie for you and your little ones – A free mp3 and pdf for “The Original Winnie the Pooh” as well as a lovely lullaby of “House at Pooh Corner” – great for bedtime or anytime. Just click here for your free download links. You have to enter a code into the box (you’ll see it there on the page) and you’re good to go! They don’t ask for an email address or anything. Very fun! We don’t do anything for St. Patrick’s Day in our home but I know most people do. That’s why I was happy when my friend sent over this link for an adorable F*R*E*E online story told by an Irish storyteller. His accent is delightful and the story is an old one – I think your kids will be mesmerized! Irish myths and traditional Irish stories give you the insights into the magic past in Ireland when you could meet a Leprechaun or a Banshee just round the corner! Part Two of the Roly Poly Pudding is ready! If you didn’t already notice, part two of The Roly Poly Pudding story over at the Snuggles Podcast is ready for listening. Find out what happens to Tom and the rest of the kittens – as well as what happens to those enormous rats! Click HERE for the Snuggles Podcast right now! Our friends over at the Snuggles Podcast just uploaded another adorable itunes episode of their podcast for toddlers and preschoolers. This time it’s the story of the Roly Roly Pudding by Beatrix Potter. An adorable story about kittens and rats and a dog that saves the day! Your little ones will love it! Just CLICK HERE to listen now or subscribe in Itunes so you can be sure not to miss another story! Another great preschool story is up over at our sister site The Snuggles Podcast. These short, under 10 minute audio stories are wonderful for toddlers and young ones to listen to – great if they have their own mp3 player or even to just have it on the computer in the background. This week is another wonderful Beatrix Potter story about a duck that just isn’t very smart – and she wants to hatch her own eggs. Unfortunately in her desperate need to show she CAN sit eggs, she fails to see that the bushy tailed gentleman who is so kind to her really had ulterior motives. Thanks to the Collie Dog on the farm, all is not lost… but you’ll have to listen to find out what happens. Beatrix Potters stories are delightful and her illustrations are fabulous. If your home library doesn’t include some of her books, I’d encourage you to purchase one or more now. They’ll be ones you’ll pass on to grandchildren and beyond. Another fun toddler story time ready to listen! We’ve just uploaded another great toddler and preschool story time story over at the Snuggles Podcast. Take a listen with your kids – the stories are really delightful for all ages. This is the last story in a series of stories about Purrkins and Pit-Pat those mischievous cats that belong to the Harrington family. This week’s story centers on a chipmunk intruder and how our fabulous felines attempt to help the family rid the house of it. Always fun and delightful, you’ll love this week’s story. CLICK HERE to take a listen and subscribe to the ITunes feed. Enjoy! Another fun preschool story time! Our sister site, The SnugglesPodcast.com, has another fabulous storytime uploaded for you. This time it’s a snuggles original story as told by the author herself. This is the first in a series of stories about two mischievous cats named Purrkins and Pit-Pat. In this story they get into trouble while their owners, the Harrington Family, are away on vacation. So cute! It’s about a 10 minute podcast and you can download to your itunes to listen on your favorite mp3 player. The podcast is wonderful for kids of ALL ages so take a listen! You’ll be glad you did! Visit the SnugglesPodcast.com to listen at the site or download the audios.